Yuvraj Singh, the swashbuckling left-hander is a gifted batsman and his milestones speak for themselves. His wife Hazel Keech shared a throwback picture of Yuvraj Singh and her pose in front of the Leaning Tower of Pisa which gone quite wrong. She was holidaying with husband Yuvraj Singh in Italy. He is greatest batsman in modern arena, his batting style and personality speaks for themselves but when it comes to posing for the camera, he still has a lot to work on. 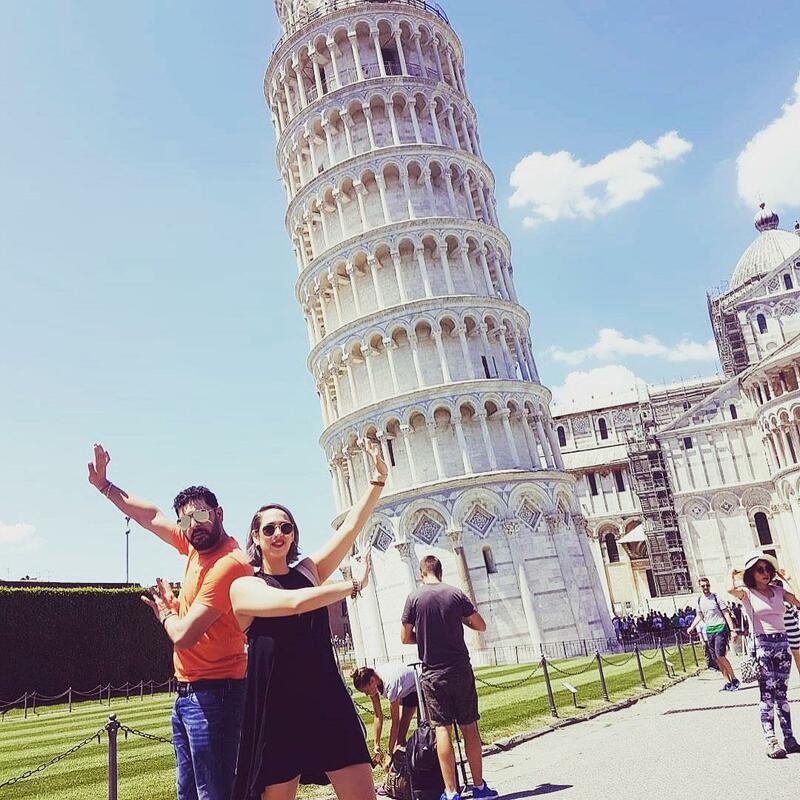 Hazel Keech took instagram and wrote "When my Munda is told to hold up the leaning tower of Pisa..... it's not only the wrong way but it looks like Balle Balle," Hazel captioned the photo and added tags like "Tourism gone wrong" and "unintentionally funny". "Tourism gone wrong but we got there in the end. Throw back to a happy holiday," Hazel wrote on Instagram taking a sly dig at her husband. In January this year both couple trolled each over the "sexier selfie". In a post on his Instagram, Yuvraj wrote: "When your wife is busy posing and your smouldering face photobombs and then you make her selfie sexier" while Hazel added one on her feed which said: "Is this selfie sexier because you're in it, Yuvraj Singh? (I'm scared people will still vote yes) hehehe... Finally, I got a sneaky sleeping selfie of you."